Want To Attend Cherry Bombe University? Apply Now For A Full Scholarship! Apply by October 19th to be considered for a full CBU scholarship! 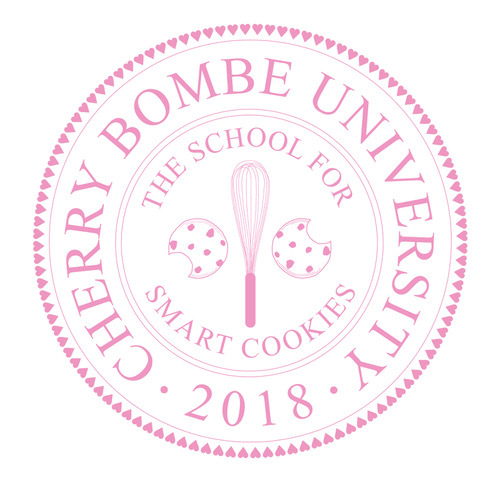 Sharpen your pencils and get ready to take classes at your newest dream school—Cherry Bombe University! We’re offering a limited number of full scholarships to Cherry Bombe University, a weekend of food and finance classes, workshops, and networking that will take place from Friday, October 26th, to Sunday, October 28th, at the Food and Finance High School in NYC. This is your chance to learn from the best university faculty you’ve ever seen. We’ll be kicking off the weekend on Friday night with a keynote talk between kitchen legend Martha Stewart and dessert master Christina Tosi! And all weekend long we’ve got classes from the likes of Katrina Markoff of Vosges Haut-Chocolat, Linda Miller Nicholson of Salty Seattle, Athena Calderone of Eye Swoon, Klancy Miller of Cooking Solo, and others. All you need to do to apply for a scholarship is fill out our super quick questionnaire by October 19th. We'll notify scholarship recipients by October 23rd. Grab some brain food and start working on your application now—you’ve got nothing to lose and a whole lot to learn! Turn Your Pantry Items Into Beauty Products! Professor Sophia Roe Will Show You How.